Thank you Stars of Hope for giving our students an amazing opportunity to share Hope to hundreds of Veterans throughout CT.
As part of our Veterans Day celebration at Weston Middle School, we were quite fortunate to do something extra special for both our students and Veterans. We heard about your amazing organization and the impact it has had on many so we approached our Weston Kiwanis Chapter to fund this simple, yet powerful project. I can’t begin to express the impact it had on our students. With only a few lessons on Veterans, who they are, what they have done for our country and the importance of honoring them, showing our respect and gratitude; this became truly one of the most meaningful projects Veterans Day projects! 585 Weston Middle School students painted 585 Stars of Hope and included messages of Hope and gratitude that were presented to Veterans throughout CT. First they were presented to Veterans at our school-wide assembly along with a small American Flag and rose. The hugs and tears were palpable! Then some were distributed that morning at our Weston Town Hall tribute. Veterans were truly moved by this simple act of kindness. 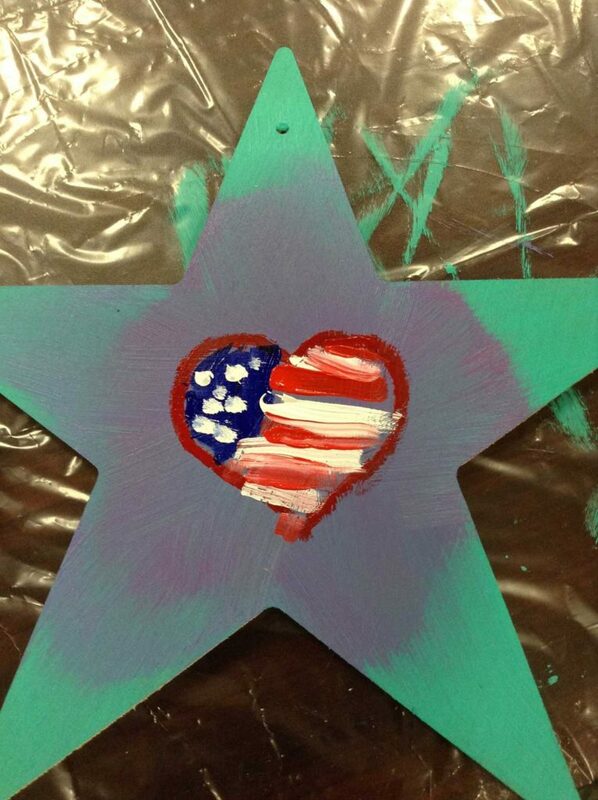 Later in the day and during the week, a few parents and students drove to VFW’s, Veteran homeless Shelters, Nursing homes and throughout CT to spread hope and gratitude to all by sharing the Stars painted by our students. Photographs were shared with our students so they could actually see how wide spread this project reached. To see our students standing tall and proud with the biggest grins on their faces, knowing they made a difference in a veterans life, is the greatest joy. This will be etched in the memory for life! Thank you Stars of Hope for this amazing project and thank you to our Weston Kiwanis Chapter for funding it. This truly has made the largest impact on our students and veterans that they will cherish forever! Hopefully more schools will want to participate in this simple yet powerful project throughout our country. As one veteran said as he was leaving, “Can I please have another star for my buddy? He’s in the nursing home and he needs hope!” After a long, warm embrace, I said, “Of, course”.It made me realize how something so simple can make a difference for many.